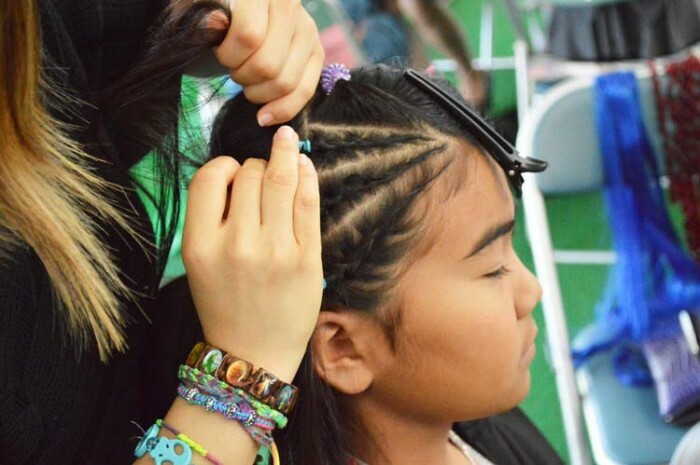 Hair and make-up demonstrations are a part of the event. 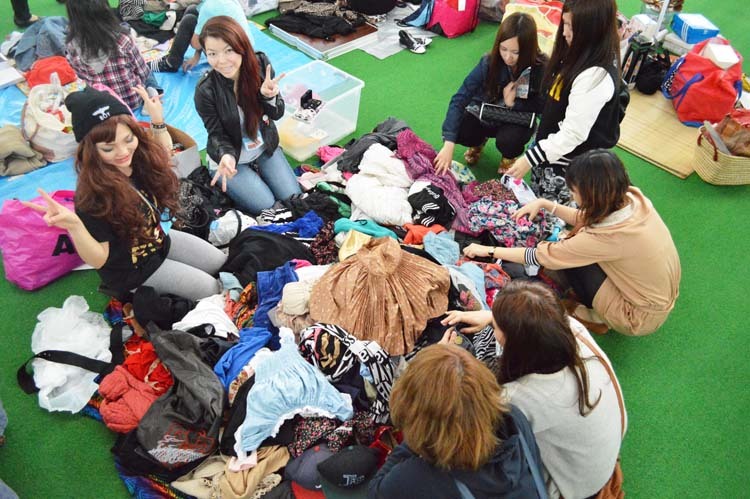 Okinawa Chura Flea Market, that pioneered the idea of having a flea market where only female vendors and tenants are allowed on the business side of the event, has obviously proven to be successful as the third Chura Flea Market takes place this Saturday and Sunday. Only girls are permitted to be vendors. As before, the event venue is the Chatan Dome in Mihama, and the market is open from 11 a.m. to 5 p.m. on both days. The first two years the event focused on women from teens to their 30s, but this year the focus has been extended to include men and higher age range, as per previous years’ customer requests. 160 vendors are expected to set up booths in this year’s event. Although only females can participate in the shows and be vendors, men are invited to participate as visitors and spend money. Families are especially welcome. A hula show is scheduled for both days. A fashion show, hula, street and belly dance shows are all included in the program as are cosmetics experience booths and food courts. Advance admission is ¥500 and ¥800 at the door. Tickets are available at Lawson L-code 81868, Family Mart E-plus, and Hotel Hamby Resort. Chatan Dome is at http://goo.gl/maps/Tbex1 Free parking is available at the area.